Hire our eCommerce experts to get in-depth analysis of your online store’s performance and bring your business to higher level. Have you noticed a significant drop in traffic in the last couple of weeks or months? You’re doing everything you can to boost your online sales but the result s aren’t coming? You’re trying to figure out what’s going on from your Google Analytics data but you still feel like you’re missing something? 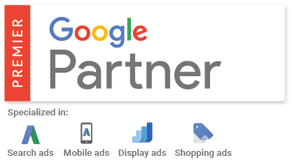 You’ve invested serious money into advertising through PPC but the number of conversions isn’t growing as you expected? Stop missing opportunities and get our Full Marketing & Usability Audit! Investing in our Full Marketing & Usability Audit is a great way to get valuable information about your online store’s current state, whether we’re talking about SEO, GA, PPC or even UX setup. There’s always something that can be improved and those improvements can really bring your business to higher level. We know Magento & Google Analytics! Get comprehensive analysis of your online store’s performance from our certified Magento Experts. What will you get with our Full Marketing & Usability Audit? With Inchoo’s full audit you will get in-depth analysis of your online store along with useful recommendations from our top eCommerce experts. Why should you choose Inchoo to audit your online store? The difference between Inchoo and other agencies that we do everything manually to provide you with a custom report made specifically for your businesses needs. Our top eCommerce experts have extensive knowledge of SEO, GA, PPC & UX, so you can rest assured knowing your online store is in good hands. With Inchoo – everything is possible! If you think you don’t need a Full Marketing & Usability Audit, but you are questioning some areas of your website – don’t worry, we have a solution! Choose between four different audits (Google Analytics, SEO, PPC, & Usability) or combine them as you want to get a custom overview of your website’s setup. Take more than one audit for your webshop and pay less for each one of them. With Inchoo, the more you take – the less you pay, so use this opportunity to get bespoke recommendations based on your businesses needs and improve your online store’s performance. If you’re not certain of what you need – our recommendation goes to Full Marketing & Usability Audit. If you decide to go with our recommendation, you can count on a discounted price. You can rely on professionalism, expertise and reliability. Don’t miss this opportunity to boost your online sales so fill out the form below. Improve your online store's performance and prevent search engine penalties! Leave us a message and get a detailed report on your website's performance along with top recommendations from our experienced eCommerce experts.